The first thing I want to say about AccessAlly is that it’s not just a membership plugin for online courses, it does much more than that: it does online courses, it does membership sites – recurring subscriptions but it can also do things like coaching areas, anything that needs to be protected behind a username and password, you can actually put behind AccessAlly. 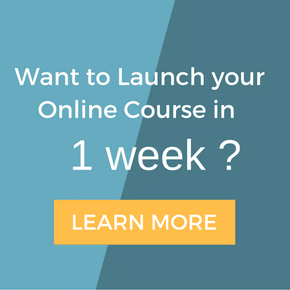 What you can do is create a full online portal where you can have all your offers – your coaching, maybe your freebies, your online courses and maybe a membership area. 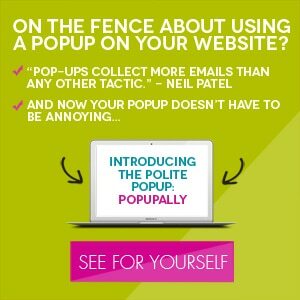 The reason you might want to do this is that you can really more easily up-sell and cross-sell your things because you can put teasers and somebody that has signed up to a free piece of content might be interested to see what else you have to offer. You can really increase conversions that way. One thing that I wanted to mention about AccessAlly and any other membership plugin out there is that it’s not linked to a specific look. For example, this one looks this way and I can share with you another screen, this one is my own membership site – it’s also AccessAlly, looks totally different and I can show you another one which is more like an online course not like a recurring membership with modules, progress tracking and things like that. The look of your platform is really based on the WordPress theme that you use and not AccessAlly. AccessAlly is going to create pages, menus (we’re going to talk about that), tags, and grant access permissions, create users and things like that but it is not going to give you the layout – where is the menu, where is your content, where are your videos and things like that, that is the job of your WordPress theme. If you see a site and it’s an AccessAlly site and you’re like “well, that’s not what I want. I don’t want an AccessAlly site because it looks like this.” No, the look is completely independent as I have shown you here, we have three different ways here that your layouts can be done and it’s still AccessAlly behind. One thing to know about AccessAlly is that it’s a membership site that is TAG BASED. It’s based on tags meaning that people have tags and content has tags. When somebody logs in if they have a tag and tried to access a page if they have a tag that’s linked to that page they can access it otherwise they can’t. It’s based on that logic that you can grant access and unlock content very easily, it is the only one that has a two-way synchronization with your CRM, with your email system that should also be tag based. AccessAlly is going to work with InfusionSoft, Ontraport, Active Campaign, ConvertKit, and Drip. Those are the 5 tag based CRMs that AccessAlly works with. There is a two-way synchronization and that means basically, you can unlock content and tag people inside AccessAlly and from your CRM. Let’s say they completed a lesson for example or a course, they complete, it tags them and it’s going to synchronize to your CRM, your email system that can trigger an automation right there. In the same way, you can add the tag using your CRM like for example you are dripping content every week or every month, you add the tag and then you can synchronize to AccessAlly and the tag will come in AccessAlly for that user and it will lock or unlock some content for them. That’s the two-way synchronization that we talk about where you can really play with the permission and the dripping of content either from AccessAlly or from the CRM. That is a very very powerful feature when you want to use the behavior of your members to log in and lock the content. AccessAlly actually creates the pages and stuff like that. I am here in WordPress, on the dashboard and this is the AccessAlly section and you have a COURSE WIZARD. There is actually a whole “Get Started” section, there is a video that actually explains to you everything with the different steps but when you go to the Course Wizard, this is where you are going to create your course and you’re going to say “is that going to be a piece of content that’s delivered at once?” Either it’s a course with six modules, maybe you’re going to have seven(7) pages, welcome pages or it’s a membership site and you’re going to have a four(4) different levels and each is going to have ten(10) pages or something like that and it’s all accessed at once then you create it here and it’s going to create one tag access for all the pages. If you want to stage release that means you want to come up with a drip content say you have a course and you’re going to drip content like every week then every page is going to have its own tag so that either in the CRM or AccessAlly, you can every week add this tag to the person. One page per tag. That’s how you differentiate. Let’s go to the course that I already created because I want to show you how it creates the page, it creates the menu, it creates the tag in AccessAlly and in your CRM. So you don’t have to go to Active Campaign and then create the tag and then try to map with AccessAlly, AccessAlly does the work FOR YOU which is really awesome! Several courses have been created here and I’m just going to click on edit to show you the different steps. So if I go back to the first step – Course Identity. This is where you are going to choose if you want to two(2) images a 1.) when people have access, 2.) when they don’t have access. When people log in, if they have the tag linked to that course they will see the enabled course icon. They click on it, they get to the course. If they don’t have access, they will see the disabled course icon and they will be redirected to a sales page or waiting list. So in that particular case, it’s not set up so I’ll just have to click on edit and edit it but that’s basically where you would select the page that they will go to if they try to click on it when they don’t have access. That’s how you’re really going to increase conversion. That’s a really really cool feature of AccessAlly and here it shows you that it has created the menu, the stage release course menu then all you have to do is go to Appearance – Menus and then you will see your menu there, you change the labels if you want to, you can rename them and add extra pages that you already have if you want to. That basically creates the pages, it creates the menu. If we go to the Automation Tags, you will see that it also create some tags for you, it has the Base Access that’s when people have access to the course – starting access of the course. The Made_Purchase is used to indicate (it’s more like an indication) that the purchase was successful, that’s something you can trigger in your CRM, you can trigger in your specific campaign, that’s maybe where you want to send them their login password, the Revoke is used to revoke access to the course and the Instant_Access is a really cool way to give access to someone to everything. Say you have a course that’s dripping, six(6) module for six(6) weeks but you have this partner or friend that you want to give access to everything just give them the Instant_Access and it will bypass the dripping, they’ll have access to everything. That’s the TAG and when you create the course, it creates that for you here and in your CRM. Next, you have your Module. So you’re going to say Modules or Pages. Here it’s in the context of an online course but if you’re doing a membership site with level or stages then it’s basically the same idea. You create them here, you give them a name, and it’s going to create a tag for each. If you already had a system before and you have some tags, you can use existing tags and you can just choose them from the drop down but if you don’t then it will create them for you here and on your CRM. Next, you have your Content, once you have created the module, now you have to add pages to a module and you can add more than once(1) page, some module can have one, two, three, four, five… ten lessons, it’s totally up to you. Then you go here then you basically add a new page, you choose the module that is going to be for and then you can tell it to “Create a new page for me” or use an existing page if the pages are already created, just grab that page and it will use that and of course when it creates it, then you have a link to edit the page right from here. Then you have your Checklist, this is pretty cool when you want to make sure that you don’t miss any step, its really going to tell you to do this, create your tags, get the pages created, get the modules created and their content, and then go to your CRM and create your campaign and that’s a really cool feature that they actually show you for whatever CRM you are linked to. 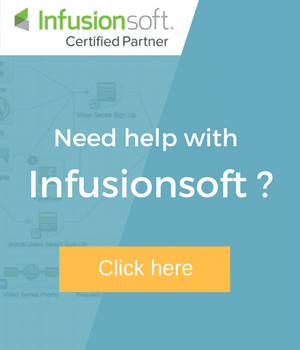 Here I am linked to InfusionSoft but you can link to Ontraport, Active Campaign, Convertkit, Drip. It will show you exactly for InfusionSoft what I have to do and it’s really like a step by step, it shows me go to InfusionSoft, go to the campaign builder, click on add campaign. You really can’t miss any step if you follow this. This is to show you that AccessAlly takes care of all these things that need to be created; pages, modules, menus, and things like that. That’s the course Wizard. We talked about the look, another thing that I wanted to show you was if you want to see different types of looks, you can also go to our portfolio that we have. In terms of the protection and things like that, here we are using Divi, this is a theme that we really love but I want to show you where we edit the page, you’ll have a section that is AccessAlly section and that’s where you can see if the page is protected and what tag people need in order to access the course. Here, if the person that logs in either has this tag or that tag, they will be able to access the page otherwise I can choose to redirect them to either the dashboard for example if they are logged in and they don’t have free_course_has_access, if they don’t have that tag, then I can redirect them to the dashboard or you can redirect them to a sales page and stuff like that. Another cool feature of AccessAlly is that it allows you to take payments. It allows you to take Paypal, for a one-time payment, for online courses for example or you can use Stripe for recurring monthly, yearly, etc. it also supports trials, coupons. It’s very very flexible, one thing that I absolutely love about the order forms is that 1.) It doesn’t require that you have an shopping cart that cost you extra money and extra integration and if you do it right from here. If you use the AccessAlly order form then on successful payment, they will have direct access to the content, they will be sent an email, they will get the made_purchase tag that will trigger in your CRM campaign that will send them their user name and password because AccessAlly will send all that information over to the CRM and get it saved, it does all that for you but they don’t have to wait for that email to log in, they’ll have a button on the “Thank you!” that says “Get Started Now!”, they click, they are auto logged in, they are redirected to the page of the course or the module or the dashboard, the welcome page that they just paid for which is pretty amazing because right there, it gives you a great first customer experience, we know how important that is. The other thing that I wanted to show you is that with AccessAlly Pro, we have ProgressAlly that is integrated and basically, it’s all the progress tracking, assessment, all that we call the Gamification. The other thing that is included is the assessments, assessments are quizzes, they great to help people and guide them to the best piece of information, they also allow you to unlock content, on the completion of the quiz you can tag them and you can tag them, of course, to give them access to a new page that has that tag, it’s a great way to provide them with more content based on some results that they do with the assessments. I wanted to show you this one, I also wanted to show you that one because in this one, as you can see the progress tracking is done a little more in debt here because you can see that there are actually twenty-two(22) objectives that belong to seven(7) modules, six(6) of them have been completed so far and that would present 27% of the completion, there is a reset button so if people want to start the course all over they can do that as well which is pretty awesome when you have people that go through the course several timed and you have this menu at the top, this is actually a WordPress menu, this is still customisation remember that the look if separated from AccessAlly but its a WordPress menu and it’s completely linked to ProgressAlly so it’s the same progress tracking that you have here. You can see that Module 1 is done, Module 2 is done as well; it’s checked and then Module 3 is not done. You have the objectives list here as well, that’s the part of ProgressAlly, you can see here I unchecked it here, it removed it from Module 1 here and now we are down to 23% and five(5) out of six(6) when it was six(6). You have private notes which is an awesome feature again of AccessAlly because it lets people take notes below the video, you can have as many product notes as you want. This cool feature here is the conversations which are not part of AccessAlly, this is our own thing but basically it allows people to ask a few question and then engage with each other on this very topic, we placed these forums where they have to actually leave the content to ask a question and then come back, where they can ask a question directly about Module 1 which is pretty awesome. There are tons of things that AccessAlly does but another cool feature is the member directory that has filters, I’m going to show you a member directory where you can see the profile and then you can filter by tags, you can create multiple member directories, say you can different levels or different courses they can each have their member directory for example if you don’t want to have every member in one(1) and then you can filter by level or by location if you stored that as a tag, you can put any logic that you want into that. That’s AccessAlly in a nutshell. The last thing that I wanted to show you is the assessment, we talked about it briefly but remember, if I go back to my dashboard here, one(1) cool feature that I think is really important when you have the subscription-based membership is to have an assessment that people can take regularly so that they can gauge where they are and we can guide them to the best piece of content. For example here, I have four(4) stages, your beginner, intimidate, advance, and rock star and when I click on the tag assessment, it goes to that page and it can ask you a whole bunch of questions here, I’ll just have one(1) then it’s going to tell me which stage I’m in; a beginner and I click here to get started and it’s going to send me to the first piece of information for beginners. Great way to help people figure out where they should go with this ProgressAlly feature of AccessAlly. I hope you enjoyed this short demo of AccessAlly! If you have any comments, let me know what you think. If you want to check out AccessAlly, go to www.newsoftwaremarketing.com/accessally. No video on this page even though it says, “Video Transcript.” Is there a secret handshake?